John Singleton Copley painted this portrait of Catherine Hill around 1772, having previously painted her husband, Joshua Henshaw II and other members of the family. The artist focused on the bust-length figure, which is slightly turned to the left and located against a plain, dark background. Her brightly lit face with its high forehead shows the trace of a smile, looking at the viewer with a direct, calm gaze. The sitter’s hair is held back with a pink band of the same colour as the dress, which is richly adorned with pearls and brocade. In her left hand she holds the ends of the blue shawl wrapped around her shoulders. 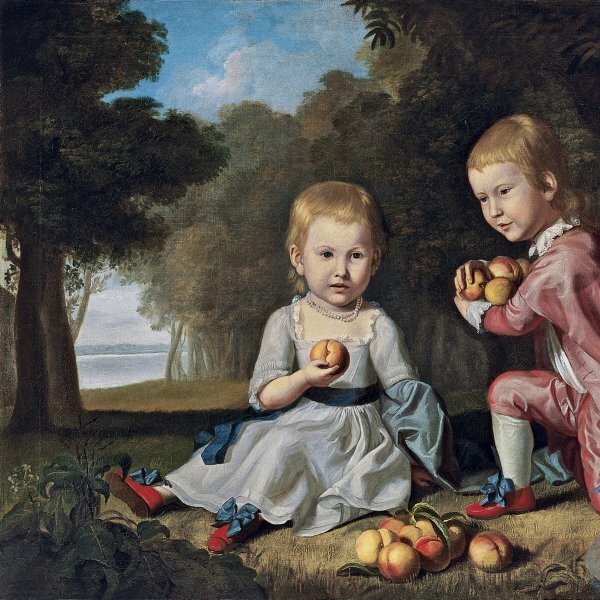 Copley is considered one of the first great masters of American painting. He achieved enormous success as a portraitist among the wealthy merchant classes of Boston. Stylistically, he remained close to the English tradition of portraiture, although developing different formal solutions. His emphasis on direct observation led, for example, to a greater sense of realism and a more profound investigation of his sitters. In colonial America, where portraiture became the principal artistic genre, John Singleton Copley soon gained a reputation as the leading portraitist of his native Boston, where he lived until 1774. His mastery at capturing both the physical and psychological presence of the sitters also led him to triumph in Europe, where he became the fashionable painter of London society portraits. At the beginning of the 1770s, the prosperous merchant Joshua Henshaw II (1746‒1823) commissioned Singleton to paint his portrait and that of his wife Catherine Hill, which belongs to the Museo Thyssen-Bornemisza collection. In both paintings Copley follows the same method used for his earlier portraits in which the sitters, generally positioned in the foreground, are depicted with their faces powerfully illuminated and in distinguished poses borrowed from the English portrait tradition. 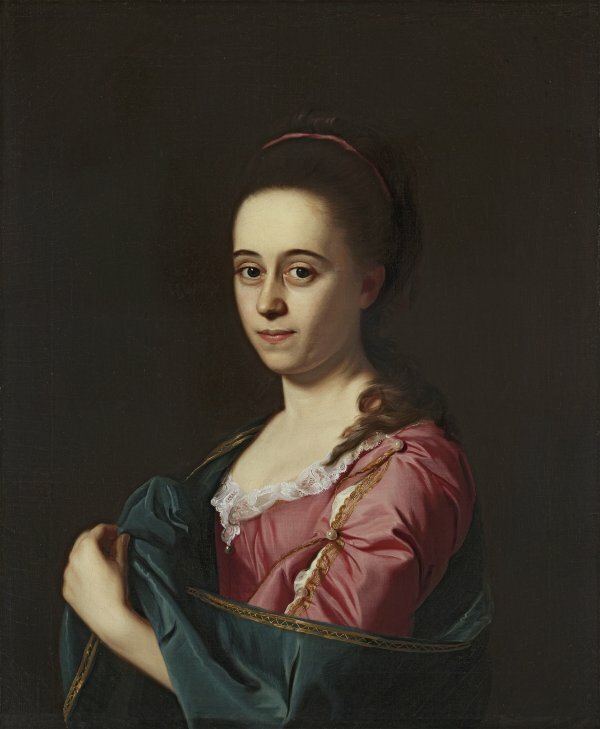 In the portrait of Catherine Hill, Copley sets out to convey the sitter’s psychology through the penetrating gaze directed at the viewer and by setting the young woman against a dark background in which she appears to float. As in most of his works, the painter displays his skill at capturing on canvas the different textures of the sumptuous textiles and at painstakingly rendering the tiniest details of her clothing, such as the lace, brocade and pearl trimmings.